This is how to make real Tinga Chicken Tacos If your looking to make the best shredded chicken tacos, you have found the recipe! 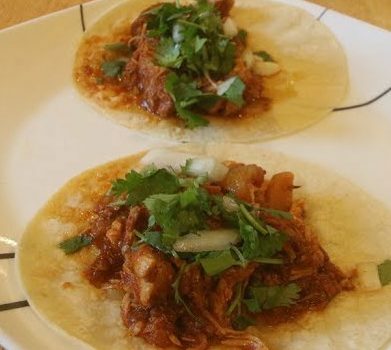 Como Hacer Tinga Tacos de Pollo. 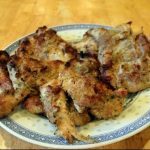 This recipe is easy to cook and the taste is great. All of the cooking instruction and ingredients are listed in this video. You will love this spicy Tinga sauce. Let’s get started with four cups of water and two organic chicken breasts. Fill it up about table spoon and a half of salt, bring this thing to a boil, let it cook thoroughly, till the chicken’s nice and tender. We’ll set that aside to cool, we’ll be using that later. Now we’ve got some plum tomatoes, we’ve got the boiling water, I use this technique, for a lot of different things but the main thing is it makes the tomatoes so much easier to peel. See how easily the skins come off the tomatoes, that’s a pro tip for you and you know. You don’t want all those tomatoes skins in your tinga sauce anyway so you’re gonna have to go through doing this step to make the sauce right. Once I have all the tomatoes prepared, we’ll be ready to put all of the ingredients that are gonna make this tinga chicken or in Mexican, pollo con tinga salsa. Here we go, we get a blender, we’re gonna start out by taking our peeled tomatoes; put them right in the blender. Those right in there baby, come on, there we go and now we’re gonna take one cup of chicken broth that we’ve got reserved, some chipotle, oh we need garlic, gosh, gotta get that garlic in there. Now, we’re gonna take some chipotle chilis, I’m not gonna use the whole can, I’m gonna go three quarters. I don’t know how spicy this is gonna so we can always add more later. Now, put this thing on full blend, and blend this stuff up right. There we go, now, next step. Two and a half table spoons of olive oil, we’ve got a white chopped onion, we’re gonna put that right into the oil, let that go for a minute. Get those onions translucent. Get that on high let it go, and we come back, give it a stir, starting to look good. Now, we’re gonna start putting the sauce together. Throw in our chicken, I’ve got that shredded but not really shredded because there’s gonna be a slow and cooking process involved in this. We put in the full content of our tinga sauce that we prepared earlier and like I said give this a stir and let it go for about forty minutes adding water making sure it doesn’t burn, slow and low and this is the end result of the sauce with the chicken. And boy oh boy does that look delicious. All right, man here’s a pro tip for you, we’re going to use corn tortillas, throw them in the microwave it will in fact make them taste like they just came out a and I’ll tell you what, in here for about a minute. Hot potato, hot potato, now these things are hot.